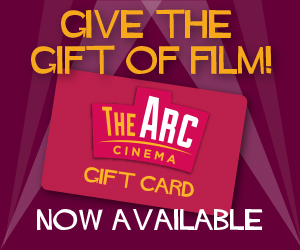 From now on, Thursdays are Date Nights at The Arc Cinema! So save yourself €10.00, and have a great night! Date Night Package is available to book online here. 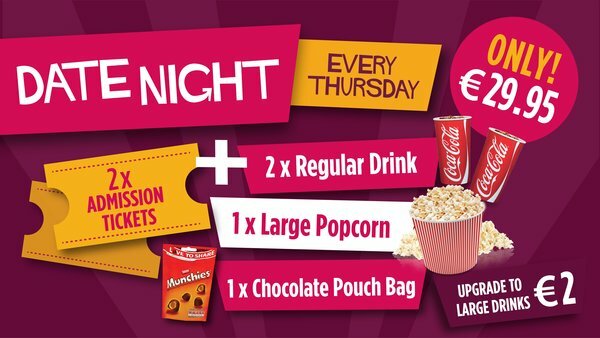 Come and check out our fantastic "Crazy Tuesday" offer - a cinema ticket for the bargain price of just €6.50! Available all day, every Tuesday. 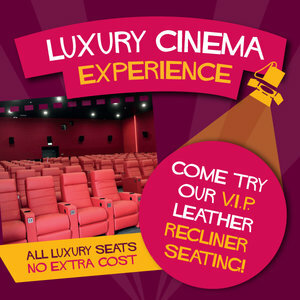 3D shows are €1 extra (excluding 3D glasses). 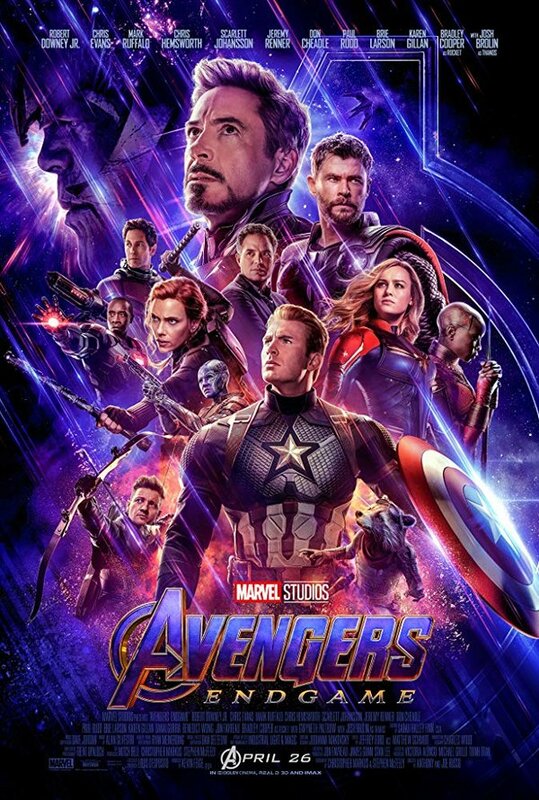 Tickets can be bought online, or at the cinema. 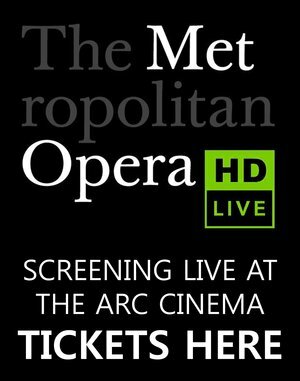 Book online to get the best seats! 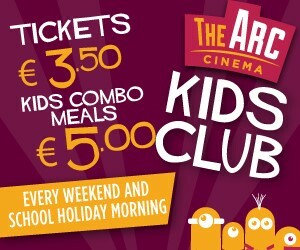 Fantastic family friendly movies at a reduced price, showing every Saturday, Sunday and school holiday morning. All tickets (children and adults) are just €3.50 per head. 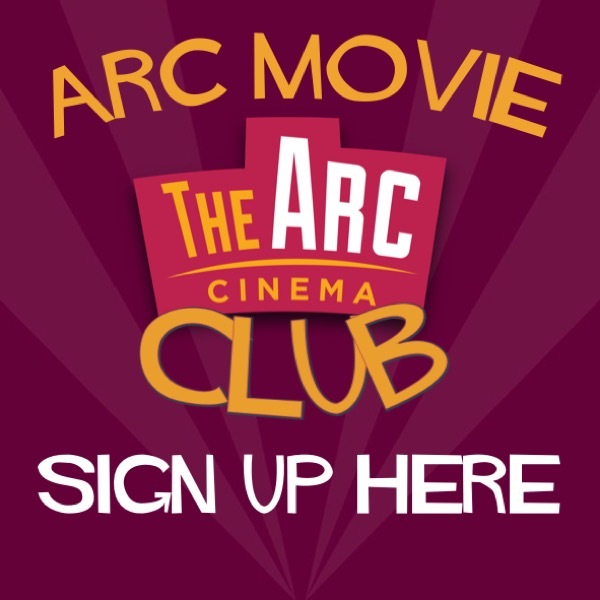 Find out more by visiting our Kids Club page. 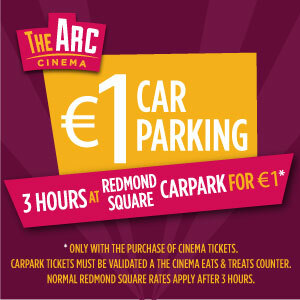 Customers of The Arc Cinema can avail of up to 3 hours parking at the Redmond Square car park at the great rate of just €1. To avail of this offer, please present your car park ticket at our Tickets / Eats & Treats counter when collecting your cinema ticket, and our staff will happily validate your ticket for you. When you put your ticket into the car park payment machine, you will be charged the reduced rate. Any time in addition to three hours will be charged at the normal Redmond Square car parking rates.